Le Mans is an event Alonso knows all about. One of his best friends is long-time Corvette Racing man Antonio Garcia, a regular on the sportscar scene since the early 2000s and a veteran of 12 Le Mans starts, with three class victories in the big race to his name. They came up through the karting ranks together and competed against each other in the Open Fortuna by Nissan single-seater series in 1999. That was the year Alonso won the title; Garcia won it the following season. "We've known each other for maybe 30 years," explains Alonso. "I follow him [at Le Mans] every time and we talk a lot. To race with him is something I've wanted for a long time. When we were five or six years old we raced together, and now at 37 I will race together with him again." His interest in doing Le Mans came long before he hit upon the idea of trying to become only the second driver after Graham Hill to triumph in the Monaco Grand Prix, Le Mans and the Indianapolis 500. He's been sniffing around the race for some time. Longer than we all imagined, as it turns out. It pre-dates his visit to the blue-riband WEC round in 2014, when he waved off the cars at the start of the green-flag lap in the final year of his five-season stint with Ferrari. He admits that he could, in fact, have ended up racing at Le Mans some time ago. "I was close on a couple of occasions when I was at Ferrari, but Ferrari was not very keen on sharing me with another brand," admits Alonso. "When I joined McLaren, I was very, very close, but in the end it didn't happen." That's a reference to the deal that was in the works for Alonso to join Porsche when it expanded - temporarily as it turned out - its Le Mans assault to three cars in 2015. Alonso doesn't spill the beans on exactly what happened, but McLaren's then-engine supplier Honda is reputed to have stood in the way of him taking a seat in the extra 919 Hybrid fielded by the German manufacturer in the French enduro. Honda didn't want to share him, either. Now his F1 employer is happy to do so. McLaren was instrumental, of course, in his Indy 500 assault in its traditional orange colours with the Andretti Autosport squad last May as it entered into its next round of contract negotiations with its star driver. 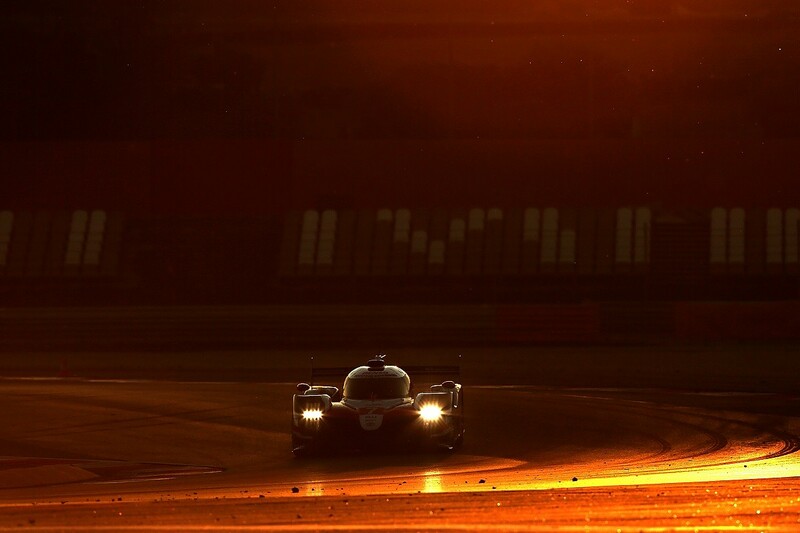 A full campaign in the WEC became viable because there will be just five WEC rounds in 2018 as the championship transitions to a winter series format for 2019-20. "I spoke to Toyota about the possibility of Le Mans, but they were only running two cars [down from last year's three]," explains Alonso. "There was no possibility to replace one guy for only one or two races; they were more in the way of the full superseason. I was thinking of that idea anyway, so we agreed that it was the best solution." 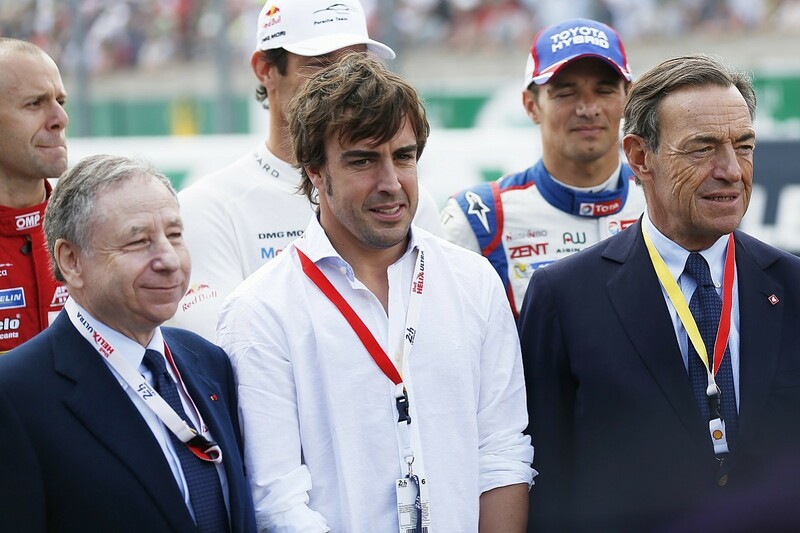 It's a solution that will result in Alonso contesting no fewer than 26 races this season. That includes his sportscar debut back in January with the United Autosports squad co-owned by his F1 boss, Zak Brown, at the Daytona 24 Hours. Then there's the official Le Mans test two weeks before the race. So in Alonso's words that's "27 Sundays" that he'll be busy this year, though of course his WEC debut at Spa in early May will come on a Saturday. It would have been 26 'Sundays', but the WEC bent over backwards for Alonso and Toyota in reshuffling its calendar to avoid a clash between its Fuji round and the US Grand Prix at Austin in October. That means he will be on duty in his McLaren-Renault MCL33 and the #8 Toyota TS050 HYBRID alongside Sebastien Buemi and Kazuki Nakajima on eight weekends out of nine between September and November. There's also a run of seven straight events, including the Le Mans test, in the summer. But Alonso is keen to point out that his appearances in Nomex in front of the race-going public represent only the tip of the iceberg of his forthcoming schedule. "Everyone is talking about the races because the calendars are public, but more time consuming - and more energy consuming - will be the marketing events with the F1 team, the commitments with personal sponsors and the all the media activities," he says. "Closing the visor and racing will be the easiest part of the year." Alonso admits that he is already in energy-conservation mode. He wants to ensure that his batteries are still fully charged when he hits that run of races at the end of the year. "Even now if I have two days free, I will be at home," he says. "I will do my home training there, I will jump on the bicycle with friends and visit my family. Then I will go back." The year ahead has been planned with military precision: "I know every single flight I will take in the year. I know where I will be and what I will be doing on every single day." He will arrive at Le Mans well-prepared, much better-prepared than when he pitched up at Indy last May in a Dallara-Honda. Alonso is scheduled to take part in each of Toyota's three endurance simulations ahead of the start of the season, but his preparations had already begun before he joined his Toyota team-mates in the first of those tests at Motorland Aragon in February. 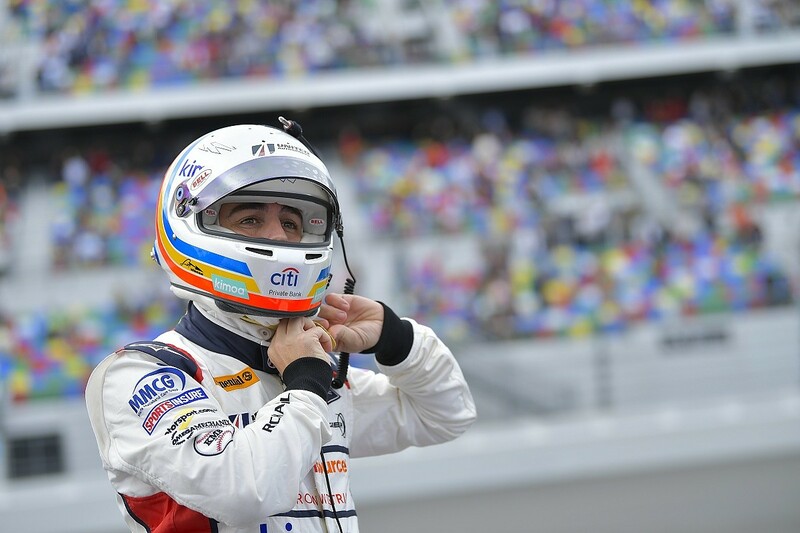 His appearance in one of United's Ligier-Gibson JSP217s at Daytona, the opening round of the IMSA SportsCar Championship, was all about getting some sportscar racing experience as he geared up for his WEC campaign. We all knew it, but he couldn't really say it. Toyota, of course, had yet to confirm its participation in the WEC superseason when his United appearance was announced, let alone confirmed its driver line-up. "The Daytona experience was preparation for this," he says. "This [the Toyota deal] was not announced at that point, so I couldn't talk too much. But in reality Daytona was preparation for the WEC superseason." And before that he turned out in some 24-hour kart races: "I wanted to prepare for the Daytona 24 Hours to have some traffic management and experience of driver changes. I am preparing for Le Mans much deeper than I did for Indy." He also needs, he admits, to learn how "to be able to switch and get up to speed in two or three laps in one or the other series". Asked if switching back and forth from an F1 to an LMP1 is going to be a problem, he curtly suggests it is a "challenge" rather than a problem. "If I commit to the programme," he says, "it is because I think it is possible." Alonso's Toyota deal will give him two bites at the Le Mans cherry, presuming there is no bizarre F1 scheduling for 2019. That's two giant-sized bites, of course, given that the team faces no factory opposition over the WEC superseason. What happens should he secure a second leg of the triple crown with a Le Mans victory in either 2018 or '19 - or perhaps both! - isn't clear. He insists that there is no masterplan for now and he has set no timescale for the fulfilment of his ambitions on the triple crown. "If we are in that position, it will be a nice position to be in, but right now I don't have any plan," he says, pointing out that his Indy debut in 2017 "wasn't in the plan" either. "Last year the Indy experience - feeling competitive there and being happy there - opened my eyes. I know that I could have another chance in the future and hopefully be competitive again." But there is another target: "I don't want to win only Le Mans; I want to be World Endurance champion."